Introducing our new gold statement hoop earrings. Hello big hoop earrings. 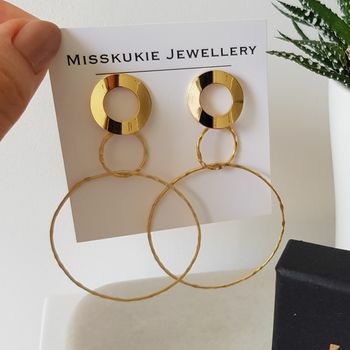 If you love large gold earrings, these are definitely for you. These babies drop almost 8cm. The earrings are super lightweight and won't hang heavy on your ear lobe. Due to the lightness of the hoops, the earrings dangle and move playfully along with the wearer's motion. 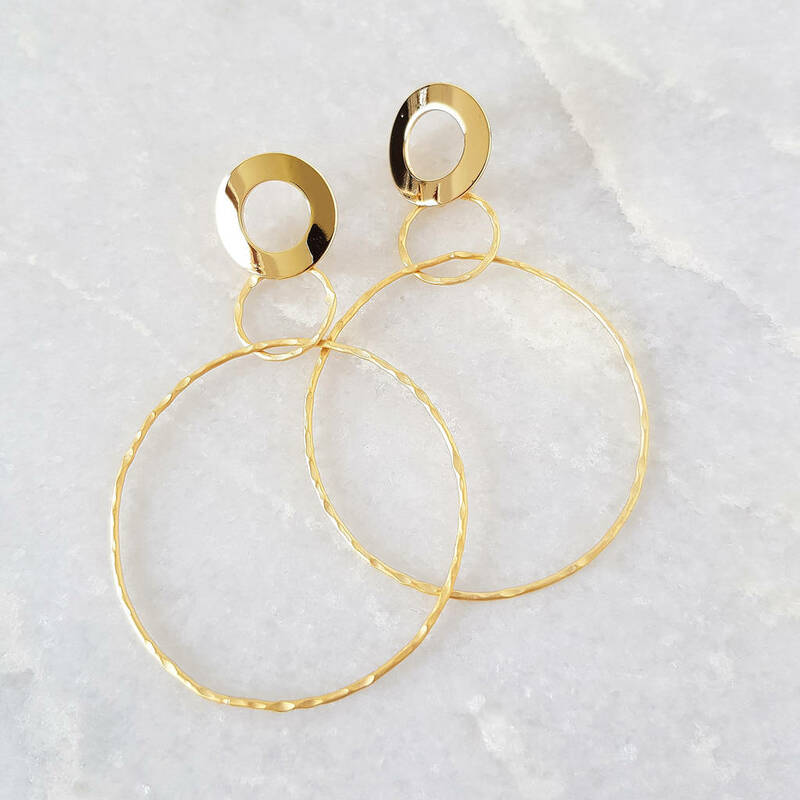 The double hoops are hand hammered gold plated brass wire. The circle ear post is polished with a 925 sterling silver ear post, ideal for those who have sensitive ears. 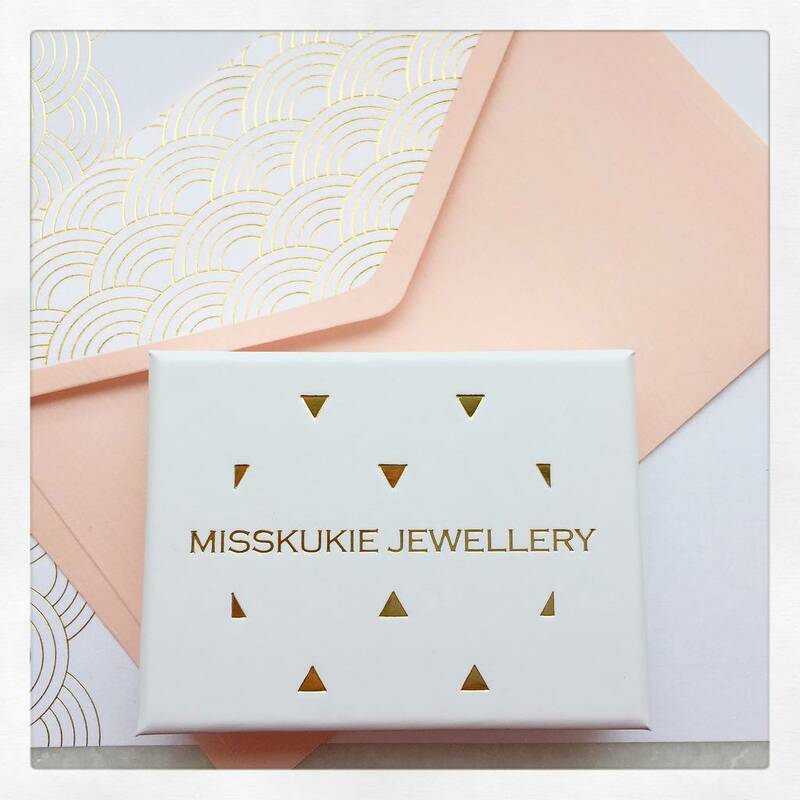 All Misskukie Jewellery will arrive with beautiful complimentary gift packaging. Hand hammered gold plated brass with 925 sterling silver ear post. This product is dispatched to you by Misskukie.